A landmark of the Greek island Spetses for the last 100 years, The Poseidonion Grand Hotel is the definition of charming elegant and quintessential Greek character. Over the past century it has become a favourite destination for high society, royalty and the wealthy, adding international glamour to this small, modest but nevertheless beautiful island. With the serene, azure Mediterranean sea stretching out for miles around, marking your delightful seclusion from the rest of the world, anyone of the resort’s spacious, fresh 52 rooms are the perfect place to rest and relax. 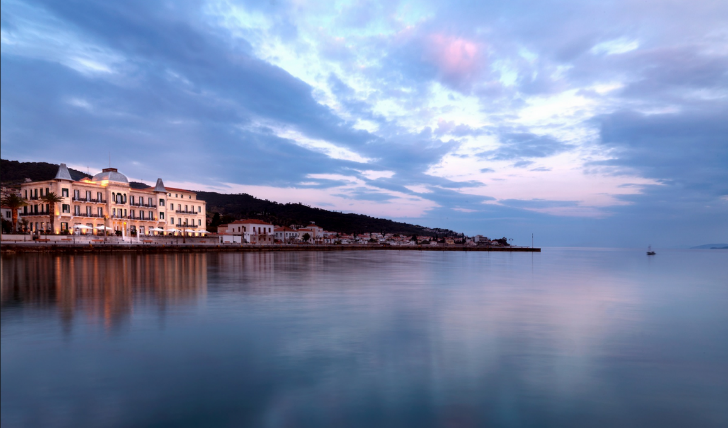 A car-free haven, dotted with secluded bays and stunning beaches, Spetses is the ultimate island to enjoy the entertaining places and activities on offer at your own pace. Whether it is hopping over to the neighbouring island of Hydra to wander the ancient cobbled streets, tackling the numerous footpaths or watching the complete stunning view of the island’s coastline whizz by whilst you follow the bike trail, there is plenty to ensure you fall in love with this part of the world. There are multiple ways to arrive at The Poseidonion to mark the start of your stay, whether you chose to travel by sea, land or air. If you wish to travel by land, the hotel has a fantastic relationship with a VIP transfer company. Completely taking care of all your travel worries, they will pick you up, drive you to the port of Kosta and organise the sea-taxi so you will arrive directly opposite the hotel without having to lift a finger. 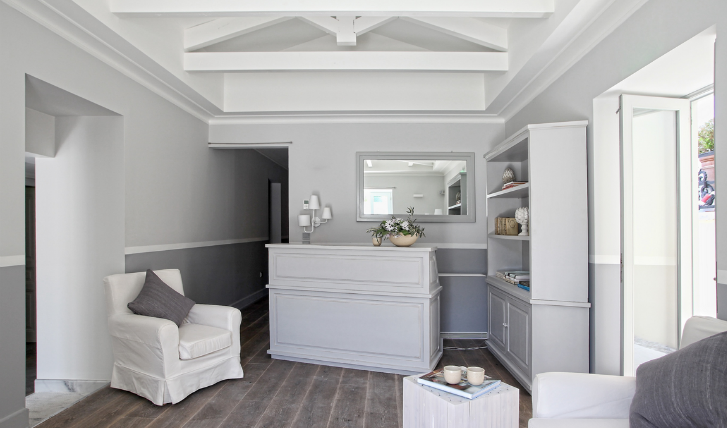 The abundance of white and muted tones of greys and creams is successful in being both clean and fresh but also plush and luxurious, with the addition of the comfortable, inviting beds and furniture. The odd dashes of colour, from the vibrant red roses, turquoise blue shutters and of course the lush, verdant green views of the Mediterranean garden outside really brings the room to life. To us here at Black Tomato, food is just an important factor to a successful holiday as the comfort of your bed. Making the most of the wealth of beautiful, fresh sea food available right next door, the Freud Oriental serves delicious Eastern-inspired cuisine including mouth-watering sushi while On The Veranda adds a stylish modern flare to the traditional cuisine of Spetses. Our favourite however is The Poseidonion Bar which boasts an extensive cocktail menu, including exclusive cocktails inspired by ingredients from their organic vegetable garden. The P Bar is a fantastic place to toast with friends or family over a selection of delectable dishes from the tsipouro and ouzo tasting menu, watching the world go by from noon till midnight.